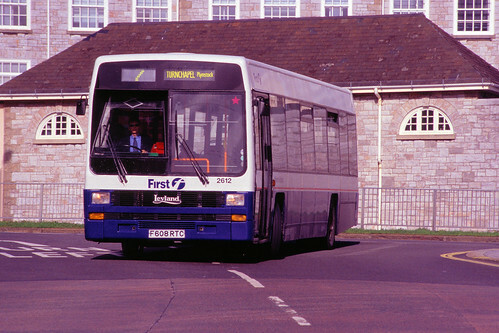 I always liked these buses. Nothing has ever pullled up hills quite as well as these could. I agree Graham, they absolutely terrifying (in a good way) when flying between Yelverton and Roborough on the 83/84/86. The characteristic howl from the rear axle and the omnipresent Lynx "death rattle" all added to the fun. Just look at the lower trim panels along the side and see how banana shaped the whole bus has become! A real nice bus especially when the kick down worked! And yes, the howl from the axle was a great sound. They don't make them like that anymore!